Luton Taxi company is a part of Britannia Airport Transfers. Best choice for airport transfers. We are based at Luton Airport we also provide pickups at all London airports. Including Heathrow Airport, Luton airport, Stansted airport, and Gatwick airport. 24-7 Open to help you with our experienced team drivers and administration staff. Book with us on the phone or Get an instant online quote for all your airport transfers and just relax. At Luton taxi company customers’ satisfaction is our main priority. Luton Taxi company provide 24-7 taxis & transfers from & from Heathrow and Luton airport. We believe in customer satisfaction we try our best to make every pickup on time every time. Fixed price means the price we quote you is the price you pay we don’t charge you any extra money. we also track your flight to avoid any inconvenience. A well dress driver will be waiting for you at the decided terminal with your name card in hand and take you on a smooth journey towards your drop off location. We Provide airport Taxis to and from all major airport of London. Include Heathrow, Luton, Stansted, Gatwick, London city airport. 24-7 Service best option for airport transfer. Luton taxi co also provide taxi service in Heathrow. 24-7 taxis available for local and long-distance travel, With their professional team of drivers. 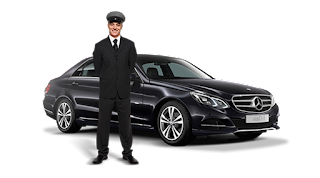 Companies of any scale who want to fulfill their transport needs for their employees and clients Luton Taxi co is here to help you. Open an account with us and get many discounts. We will give you a dashboard where you can see all your travel history and your expenses of travel you can see all your bookings details. Also, provide personal accounts for clients who had to travel on daily basis best for Students and office travel. Marketed by Tech Soft System.